Bhuban Ghosh was an agricultural labourer earning Rs. 120 a day. Occasionally, he would earn Rs. 200-300 a day for driving a ploughing tractor. Those few days, Ghosh family could afford the luxury of machar jhol ( fish curry) with rice and potatoes. The family of four did not have much but were content with their life in the small village of Goyalpura, West Bengal. Today Bhuban is 30 year old and needs a double valve replacement. You will find his father and brother walking across the hallways of Manipal Hospital, Bangalore trying to make sense of those numerous reports and scans. One look at his father's wrinkled eyes, you know this 56 year old is so pained and scared to see his young son on a hospital bed plugged to wires. "They told me Bhuban needs surgery. Doctor Sir has assured he can cure him. But he is the sole bread winner of the family, how can I not worry? "; his eyes well up as he looks at the plastic bag full of reports and scans. When a Rheumatic fever was misdiagnosed as routine exhaustion. 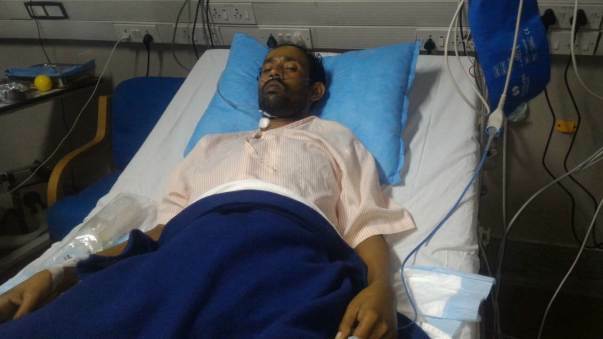 Bhuban complained of frequent breathing difficulties, weakness and fever. The government hospital wrote him off with reasons like fatigue, dehyradtion; a common complaint of among daily age labouerers. But an episode of extreme fever and chest pain brought him to Bangalore eariler this year. After multiple tests, it was confirmed that Bhuban has a severe case of RHD, a heart condition causing extensive damage to the valves. Doctors suggested a double valve replacement could completley cure him. It was a moment of relief for Bhuban and his family to know that what was labelled as "routine exhaustion" had a fix. But the thought of a surgery pertified him, and so did its cost. 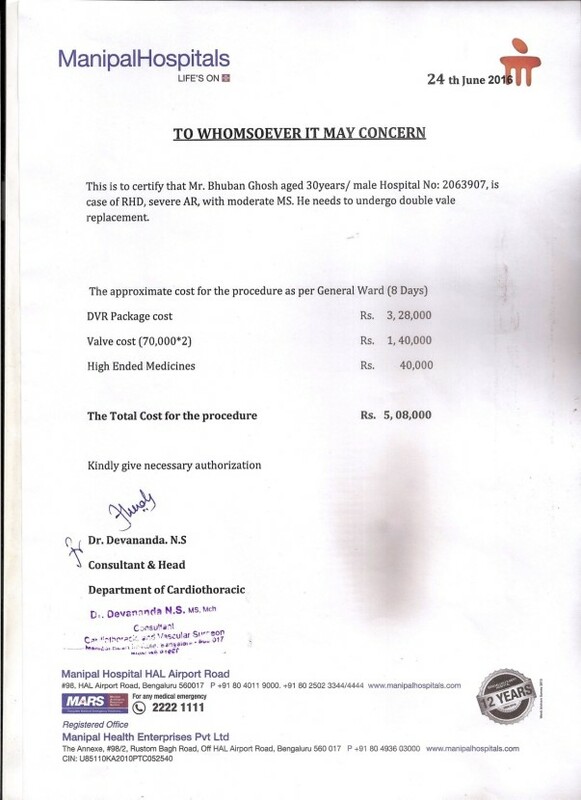 The cost of the surgery is 5.08 lakhs. The family of 4 survives on Bhuban's daily wages. 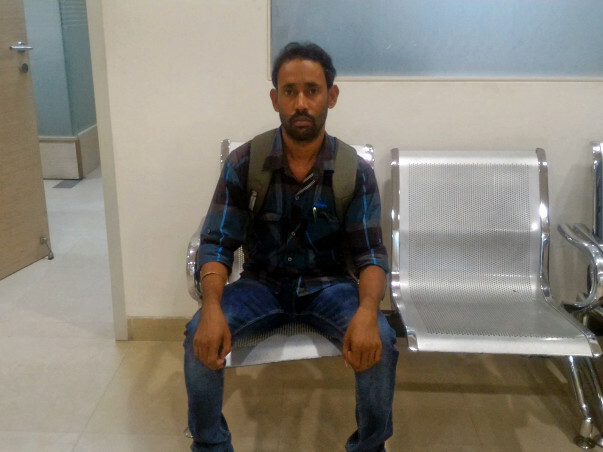 But with Bhuban's health, the income has stopped. They had already loaned 50,000 from a money lender while leaving for Bangalore. The piling interest of that amount worries Bhuban and his father. 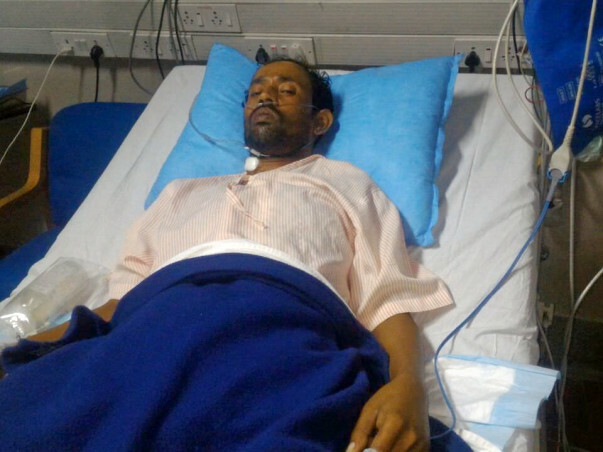 The family is helpless and sees no way to arrange funds for the surgery. Bhuban needs our support. With your help, he can undergo the surgery as planned. This surgery will give a 56 year old father his healthy son back. Please contribute now and help Bhuban. Bhuban’s double valve replacement was carried out successfully on July 8. He was discharged from the hospital on July 17 and has been healthy overall. The family returned to Goyalpura a week after he was discharged. He has been facing occasional episodes of palpitations. Bhuban has been prescribed oral medications for post-operative treatment. Everyone in his family is very relieved that the surgery was successful and that he is now feeling much better. He has not resumed work yet and is waiting for a go-ahead from doctor before he can resume. His next check up with the doctor is on November 18. He will be travelling to Bengaluru for the same. Bhuban said “I had to borrow a lot of money to get this operation done. I am thankful to the donors at Milaap for their generous contributions, without which I would have been in even bigger debt”.